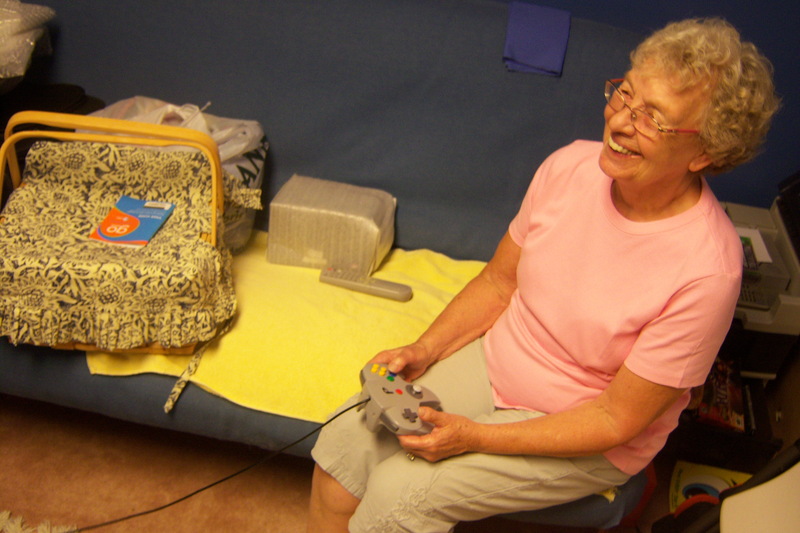 My grandma is better at Dr. Mario 64 than I am at any game. 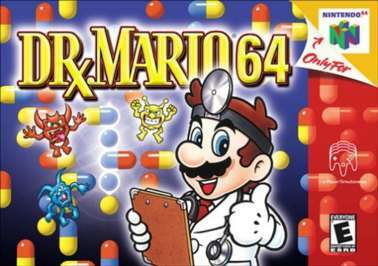 Dr. Mario is a plumber-turned-doctor who solves all of his problems with a torrent of colorful pills. He exists in a world where viruses are smirking and primary-colored, and where three consecutive instances of a single color is a surefire recipe for viral destruction. My grandmother regularly reaches level 25. It’s uncanny how quickly she flips and flits the pills into place as they tumble into the bottle, fast and inexorable. In the early ‘90s, Grandpa bought an NES. My brother and I went to his house all the time to play Gauntlet II, The Legend of Zelda, and Super Mario. Initially, Grandpa played games to get closer to his grandchildren, but he discovered that he really enjoyed them, and before long he was playing them all the time, even when we weren’t there. And so, initially, my grandmother played games to get closer to her husband. 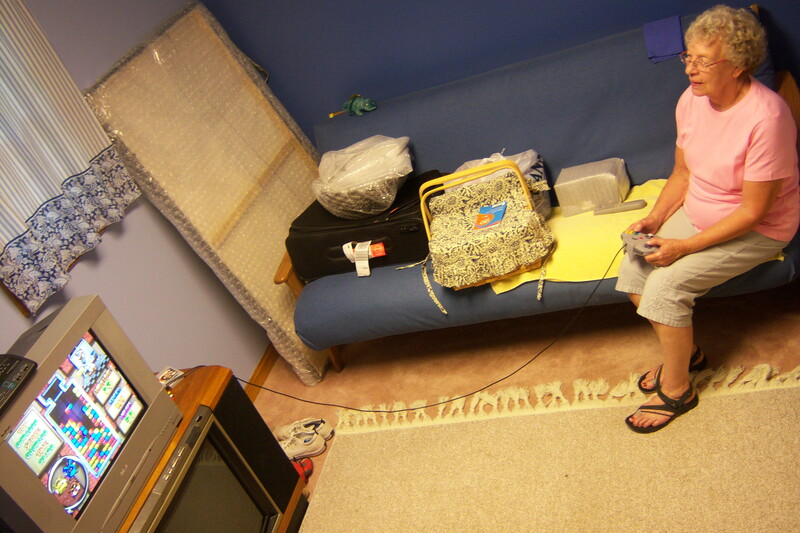 She spent many hours sitting on the couch, watching him play Zelda II: The Adventure of Link, Final Fantasy, and Golf. She didn’t particularly enjoy any of these games, but she came to love a different genre: puzzle games. She consumed hours at a time playing Tetris, Dr. Mario, and The Adventures of Lolo. When Grandpa bought a PS2, the N64 was relegated to the shoe room, a dingy entranceway to the house. Even after all of those years, the little stack of tube TVs sits right next to the door, and grandma still perches on the crowded futon, flipping pills and killing viruses. Maybe games like Dr. Mario, Tetris, etc. are about creating order out of disorder. Maybe people who play them are like Amelie’s mother, who likes to empty the contents of her purse and then return everything to its neat and rightful place. In Solitaire you start with a shuffled deck, and you sort the cards into meaningful piles. In Bubble Spinner (a perennial favorite of my girlfriend), you begin with a spinning hexagon of orbs and you pair like with like, eliminating swaths of color. 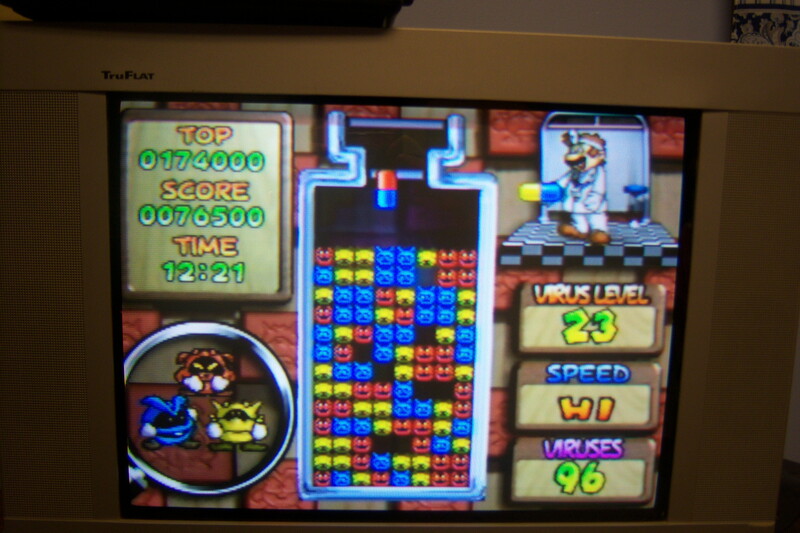 Tetris starts with an empty screen, and you fight to organize falling blocks as quickly as you can. Every game of Dr. Mario begins with a brimming bottle of viruses, and you have to clear the squirming chaff and return to simplicity. Simplicity is an empty bottle. Games teach us that no quagmire is so murky that we can’t fight our way out with guns, magic, or a fistful of pills. Grandpa died a few years ago, and now Grandma lives by herself. One of her daughters lives just across the road, and everyone still comes to visit, but the house is big and she has little to do. I can’t imagine the oppressive loneliness that she must experience, but I rarely see her without a smile. I asked her what was so special about Dr. Mario 64 that it would keep her playing for nearly a decade. She shrugged.